With summer entertaining on the horizon, I thought today would be the perfect day for sharing a delicious recipe for a summertime salad. 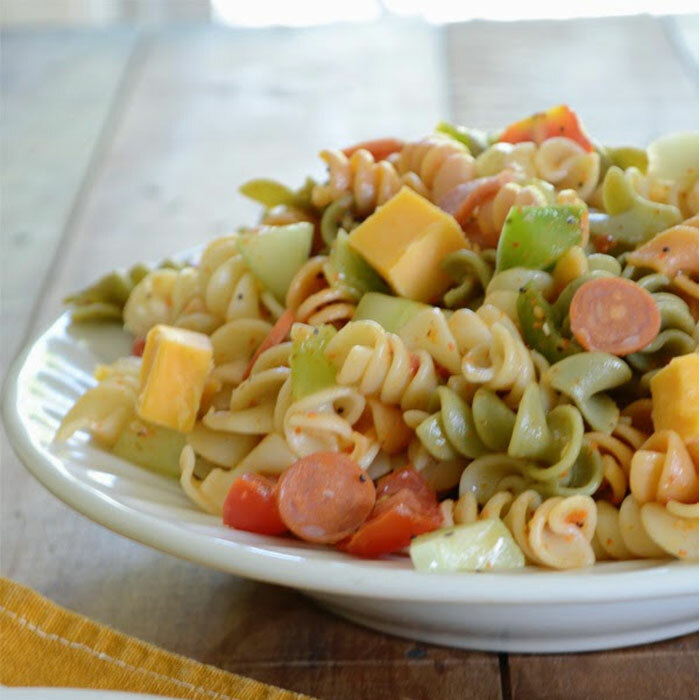 With a few simple ingredients, this pasta salad will be a hit at your next event....and it can be completely customized to include just the ingredients you like. 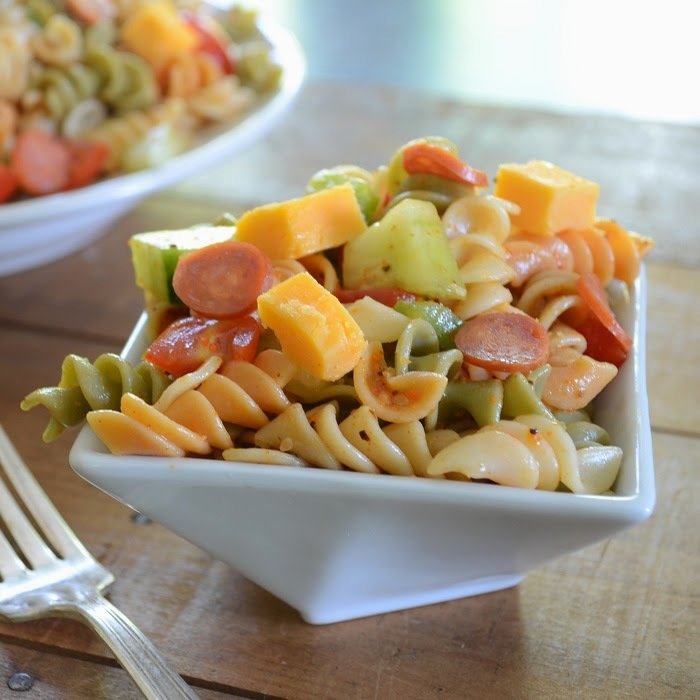 The most important ingredient in this dish is Salad Supreme made by McCormick (affiliate link) . It is a mix of spices that give the salad a really unique flavor. While I've never done it, Salad Supreme can also be used on chicken, vegetables, and salad. Begin by adding the rotini to salted water that is boiling. Boil the pasta for 10 minutes and then remove the pasta from the stove and drain it. Allow the pasta to cool. 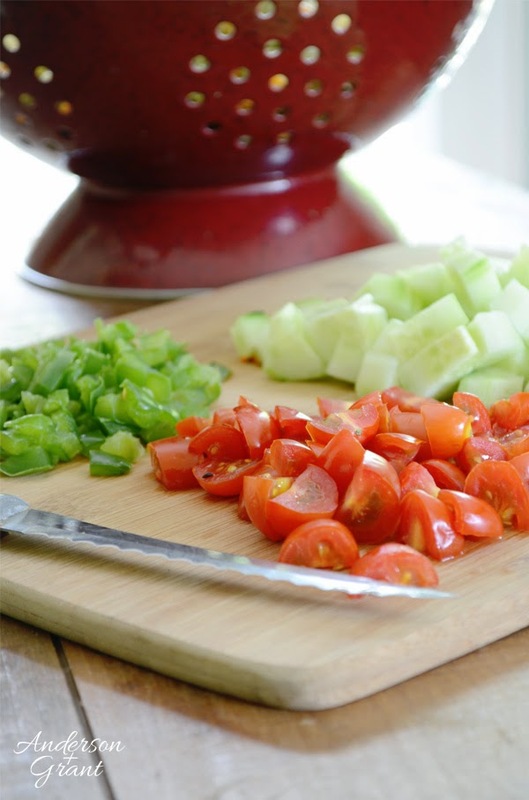 While the pasta is boiling chop up your tomato, pepper, and cucumber. I also chopped my cheese into small cubes because I was using a block of cheese rather than buying cheese that was already chopped. 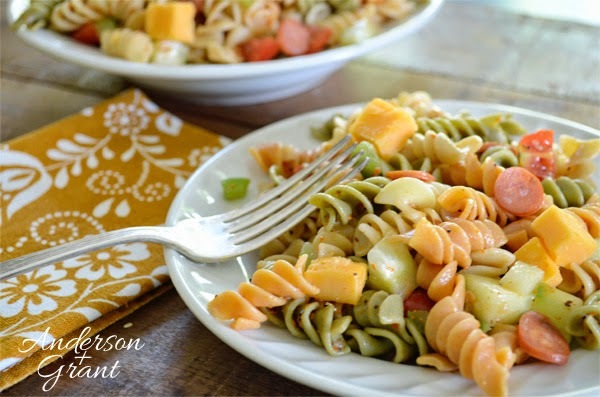 After your pasta is cooled, add the vegetables, dressing, and Salad Supreme. You want the pasta to be well coated with dressing and for the spices to be mixed through the salad. You may want to add the smallest amount and taste it to see if it is enough. How much you add is a matter of personal preference. 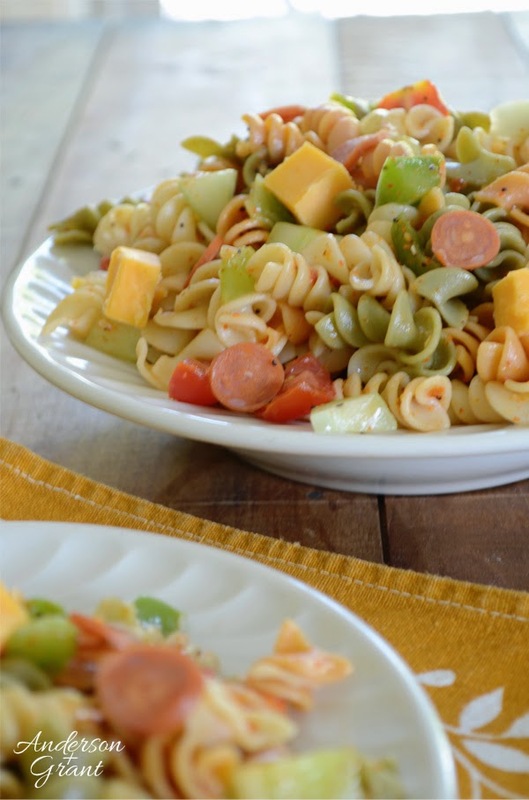 I don't like to add the cheese and pepperoni until I am ready to serve the salad because it starts to take on a funny taste and color after sitting the Italian dressing. You may also need to add a little more dressing before serving because the pasta soaks it up and may become dry. 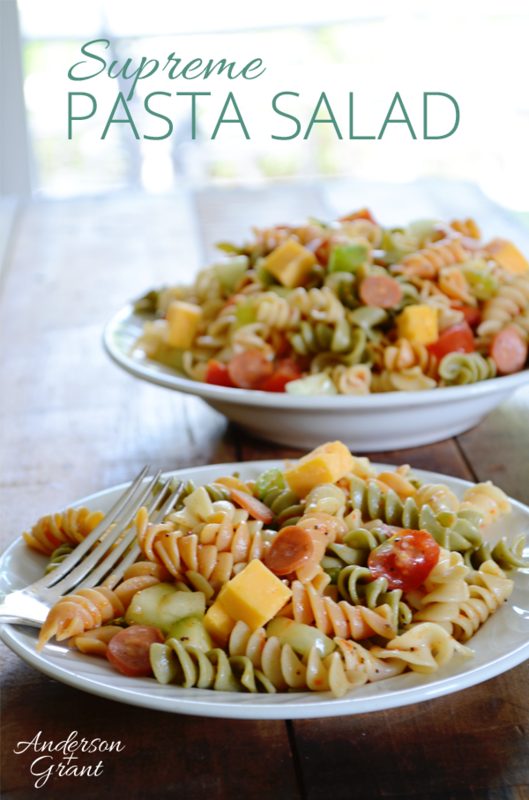 I'm sure that you and anyone at your summer get-togethers will love this salad. Let me know what you think!